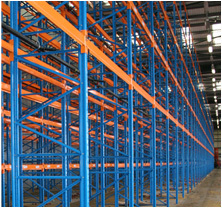 Pallet Racking Systems Limited is the Midlands leading supplier of new and used pallet racking warehouse storage solutions. Based in Willenhall in the West Midlands in a recently acquired 25,000 Sq ft warehouse and offices it has become the headquarters for the rapidly expanding operation. Within the new facility the expansion has allowed Pallet Racking Systems Limited to hold large stocks of new and used Pallet Racking and Shelving along with the opportunity to be able to offer our customers improved delivery and installation of warehouse storage solutions. 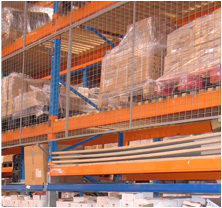 We hold an average £300,000 of used pallet racking stock at any one time depending on current market conditions. Pallet Racking Systems Limited are able to offer our clients a full design service which will maximise your storage needs, drawing on the experience and expertise of the sales and design team we can offer the most cost effective pallet racking storage solution. The warehouse storage systems that are offered conform to the latest FEM 10-2-02 and S.EM.A design codes of practice which has become the recognized in the UK and Europe.